It is the story of a rise from streets of South London (scene of some of Britain’s worse race riots in the 1980s) to the parliament. But it is not the story that some might expect. His father, Bennett, was a Nigerian labourer, who arrived in Britain in the sixties with one suitcase and nomoney. Having borrowed the fare from Liverpool to London, he worked in a carwash, became a successful businessman and died in a car crash when his son was 13. Bennett began an import-export business trading with Nigeria and was starting to make a decent living when he met Patricia Milmo, a solicitor, at a London party. She happened to be the daughter of Sir Helenus Milmo, a Cambridge-educated High Court judge and a prosecutor at the Nuremberg Nazi trials. They later got married, a rare combination during a time of high social inequality and racism. 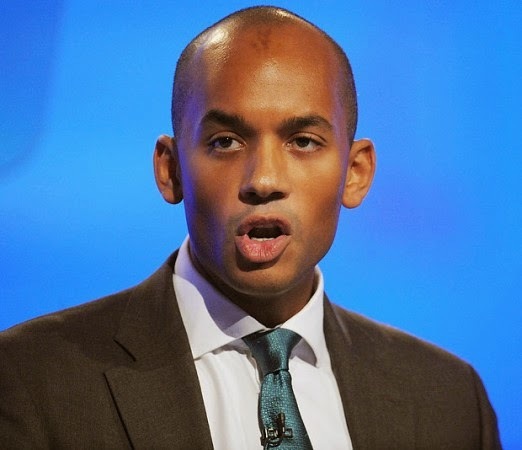 Chuka believed his father was killed because he refused to indulge in corrupt practices when he was running for the governorship of Anambra State during the administration of former military dictator, General Ibrahim Babangida (retd.). Bennett died after his car ran into a lorry carrying logs along the Onitsha-Owerri highway in Anambra. Bennett had been splitting his time between London and Nigeria – where he unsuccessfully ran for the governorship of Anambra State and had taken a stand against bribery. At a point Bennett was also the owner of the Rangers International Football Club of Enugu, the darling of the Igbo people. When quizzed about his father on Sky News, he had this to say: “There was a lot of speculation in Nigeria at the time around his death. He was a national political figure standing on an anti-corruption ticket and refused to bribe anybody.